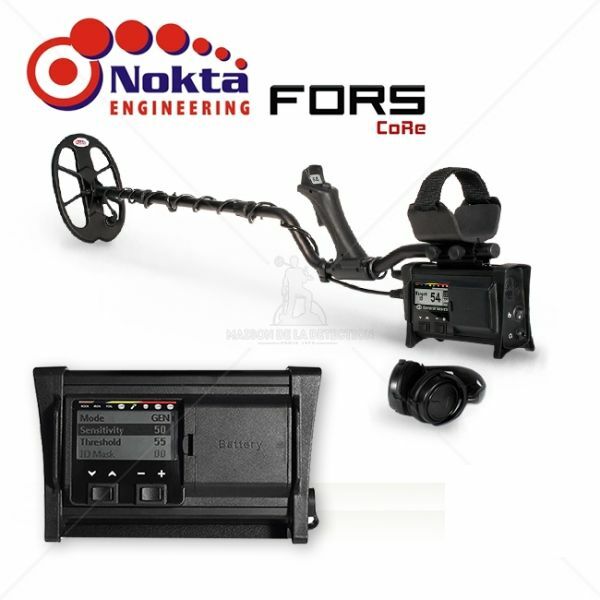 FORS CoRe has 2 LCD displays – one on the system box and one on the handle. Dual LCD display and graphical user interface let you easily adjust the settings and see all the information you need on the screens. Once you adjust your settings on the LCD panel located on the system box, you can follow most of the information on the display in the front. This way you don’t need to go back and check the LCD panel constantly. This provides great comfort during searching. Designed with the hearing impaired in mind, FORS CoRe achieved a first with the vibration feature. Vibration feature is also ideal for users who do not want to use headphones in outdoor noise such as wind or waves.